I should have referred to it as the Ejector! 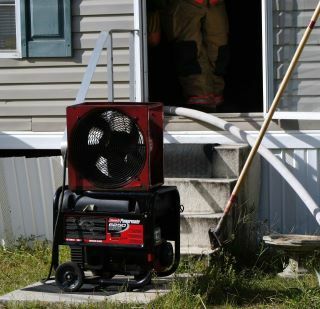 Fire is out then the fan is on….at least for most circumstances! Confined space and other place no exhaust fumes will be tolerated, but make sure it is explosive proof….